MET Opera Live! 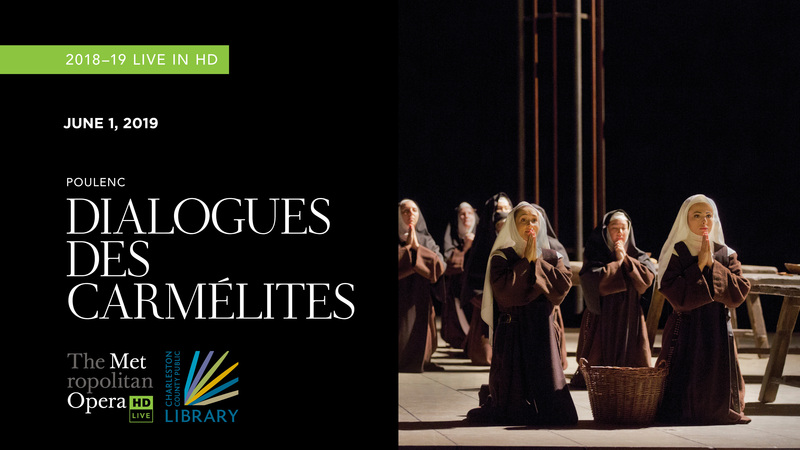 at Main: Poulen's "Dialogues des Carmelites"
Main Library - Join CCPL for another season of opera with the MET Opera! Between November and May, you can spend a Saturday at the Main Auditorium watching some of the most critically acclaimed operas being performed today. About this performance of "Dialogues des Carmelites"